The Trendsetter's runway opened with emerging designer The Vintage by Cherish Prasad, who debuted his individual collection after winning best student designer last year at Fiji Fashion Week. I felt Day 2 really highlighted what Fiji is all about, local and international designers taking risks and breaking out from their cultural mould. A strong favourite, Lady Madinella by Ana Rabuka transformed traditional Hapa print and pacific materials into modern resortwear that could easily translate anywhere across the world. Two Australian design students Mat Lee and Onticha Sawasdee showcased their individual debut collections from MBFWA for the first time on an international stage. 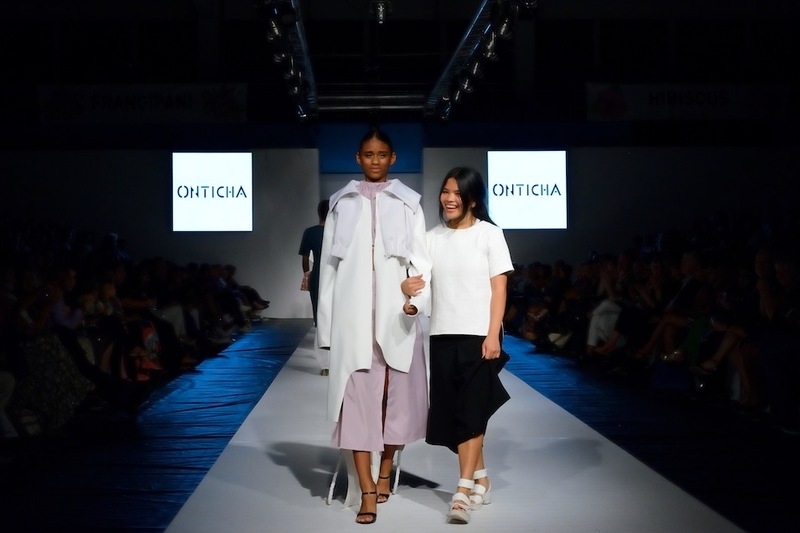 From Onticha's minimalist, oriental and textured designs to Mat Lee's unique style that pushes boundaries, it was great to see Fiji Fashion Week supporting fresh talent and nurturing designer passion from the onset. Local fashion royalty Jadeine Whiteside closed the show with a sequined take on Hapa print, she's the granddaughter of Cherie and Laurie Whiteside - founders of Tiki Togs Fiji's first fashion house. I can't wait to see where these promising designers will be in 5 years!